Marion, NY (April 5, 2019) – A man from Marion tragically died on Thursday evening, April 4th, after a head-on collision that was reported to have occurred around 6:20 p.m. The Wayne County crash, which summoned responses from multiple emergency crews, took place along State Route 21. According to authorities, 58-year-old Brian Thayer, of Marion, had been traveling north along SR 21 when he entered the southbound lane for reasons that have not been confirmed. Thayer subsequently struck a southbound vehicle, operated by Melvin Deon, 60, of Sodus, head-on. The collision prompted emergency medical crews and police to respond to the scene, where they transported Thayer to Strong Memorial Hospital via helicopter. He was sadly pronounced dead shortly after his arrival. Deon was also reported to have been transported to the hospital but only suffered injuries that have been classified as minor. The cause of this accident is currently being investigated, as no further details have been provided. Before moving on, we would, first and foremost, like to extend our deepest condolences to the loved ones of Brian Thayer. We also offer our sincere sympathies to Melvin Deon, as we maintain hope for his full recovery. 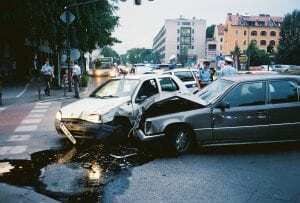 Following a New York car accident, it is important to understand that, as either a victim or a bereaved family, you may have significant rights, especially in the event that the victim was not at fault for the accident. At Hach & Rose, our attorneys have devoted their lives to helping those affected by reckless drivers and other negligent entities. We recognize the immense physical, emotional, and financial burdens that arise in the aftermath of a serious accident. If you have lost a loved one suffered an injury in a motor vehicle crash due to the actions of another party, please do not hesitate to call 212-779-0057 today.